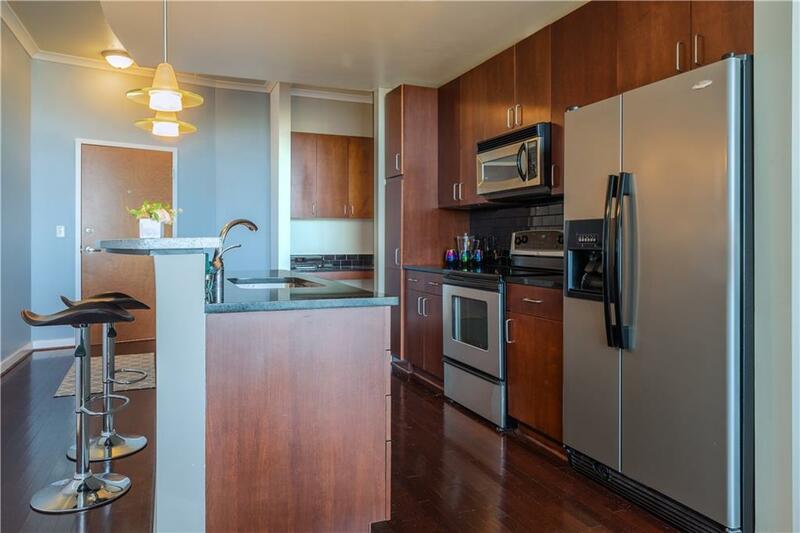 LOOK NO FURTHER - 24TH FLOOR view of the City- RARE FIND -highest view on the market that includes 2 assigned parking spaces! 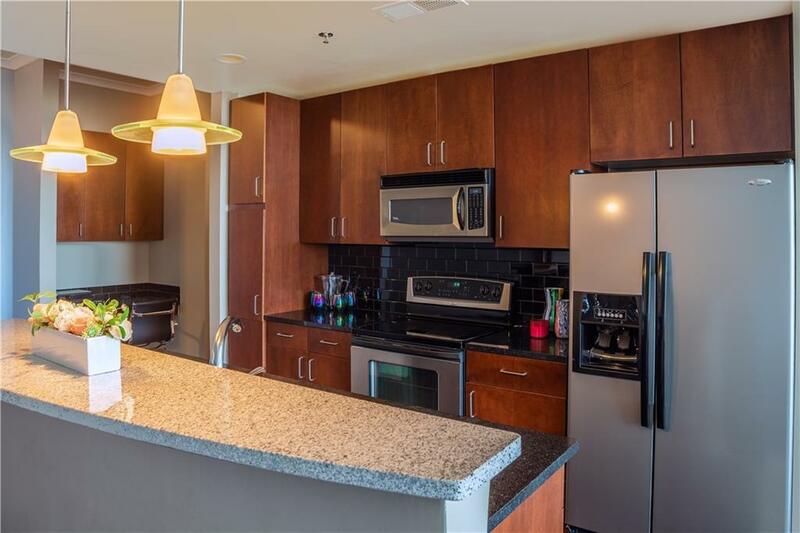 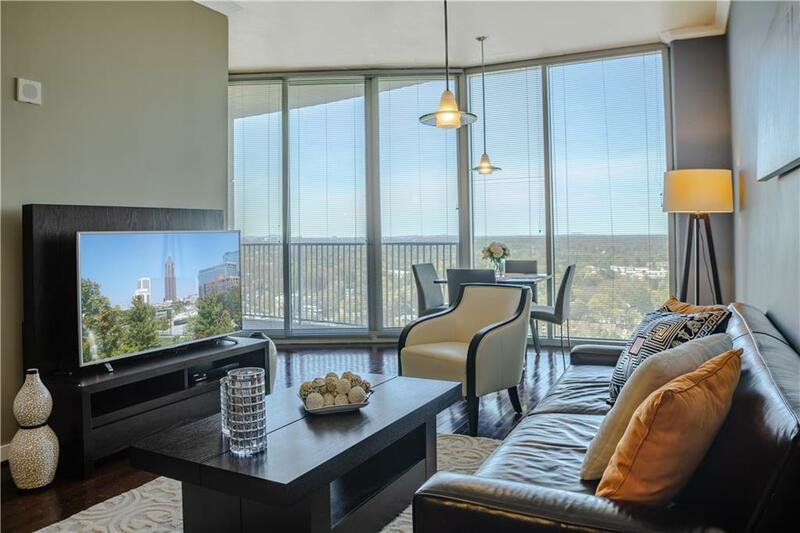 1-bedroom home w/exceptional views of Buckhead, Atlantic Station, and Midtown; Awesome Floorplan that hosts open-concept kitchen, liv/dining area, Spacious owner's suite w/large closets, Beautiful hardwood floors; Floor to ceiling windows that let in just the right amount of light. 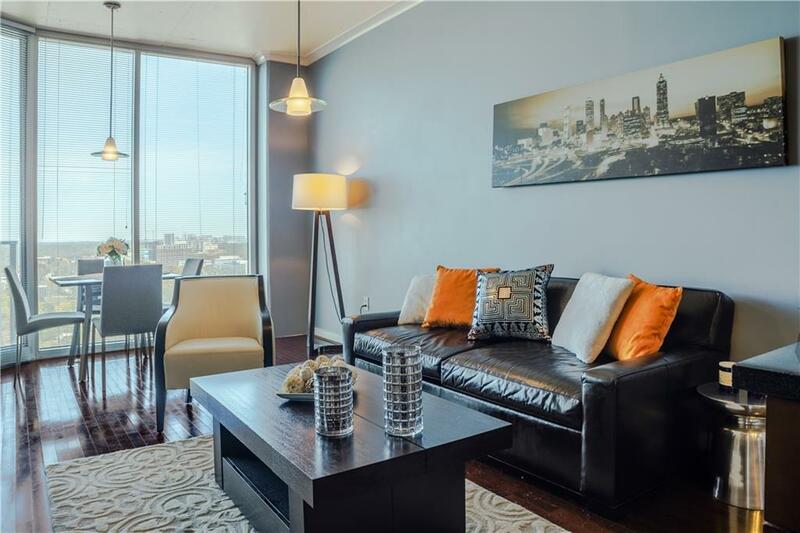 Enjoy exceptional amenities include 24-hour concierge, lobby restaurant, fitness center, club room, swimming pool, and free bus service to Art Center Marta.